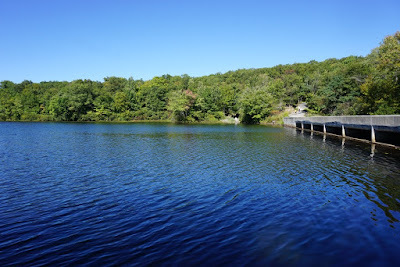 This was a beautiful late September day, with a bright blue sky and very comfortable temperatures. 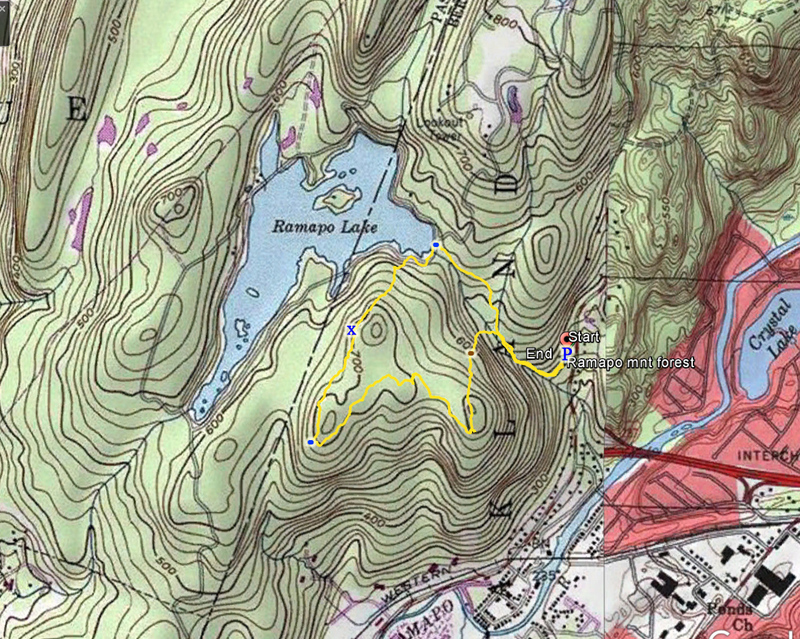 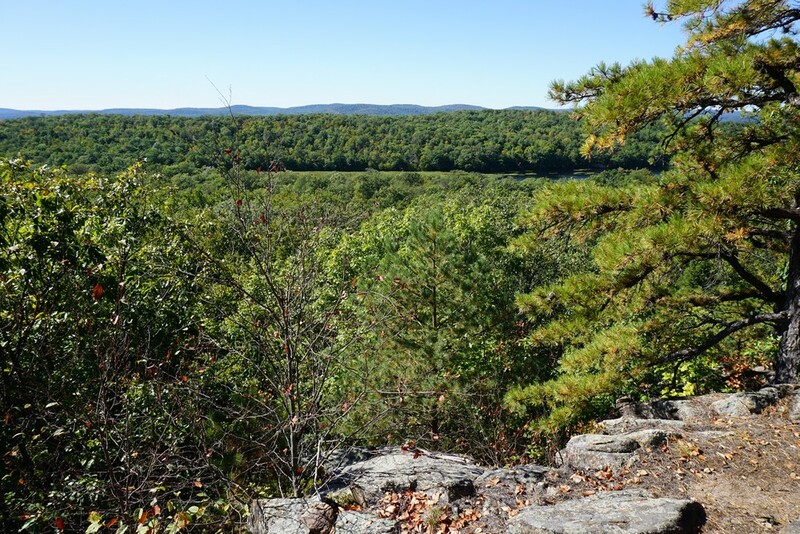 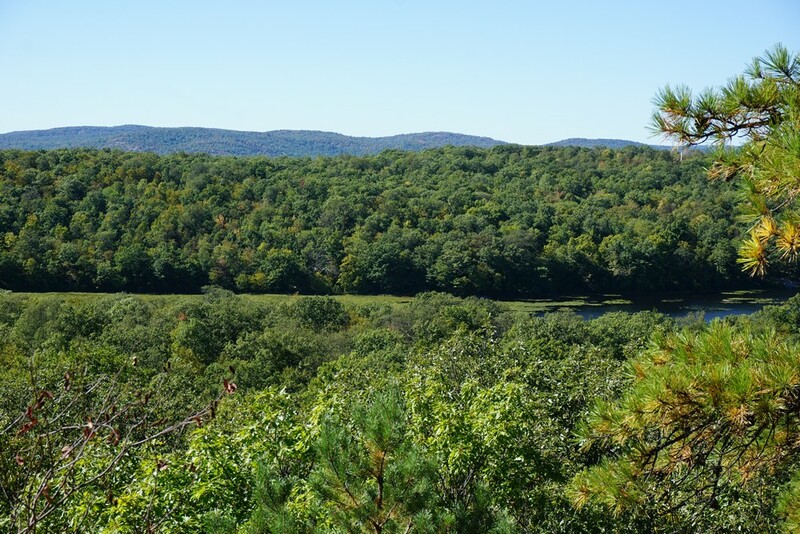 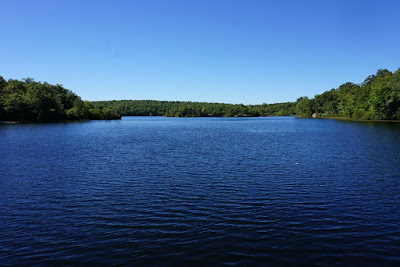 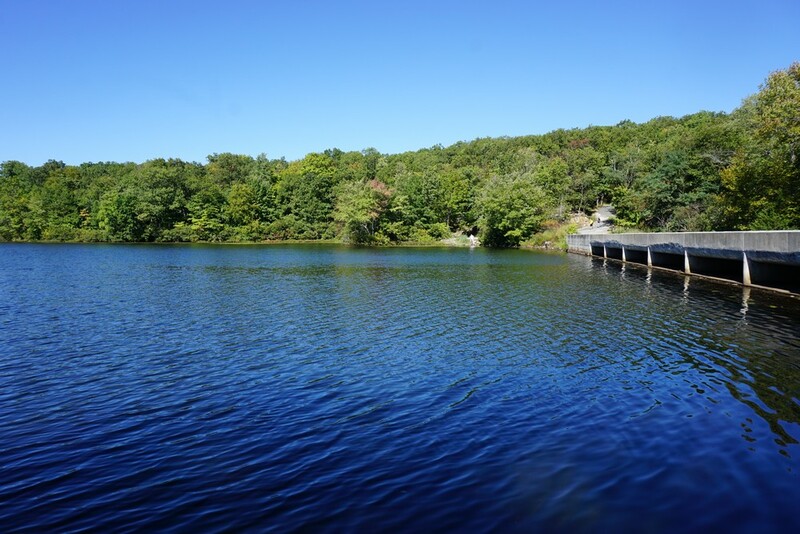 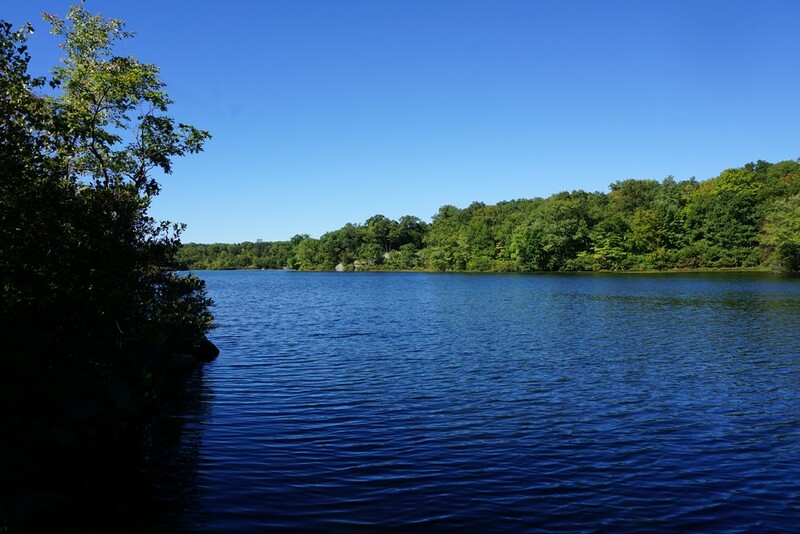 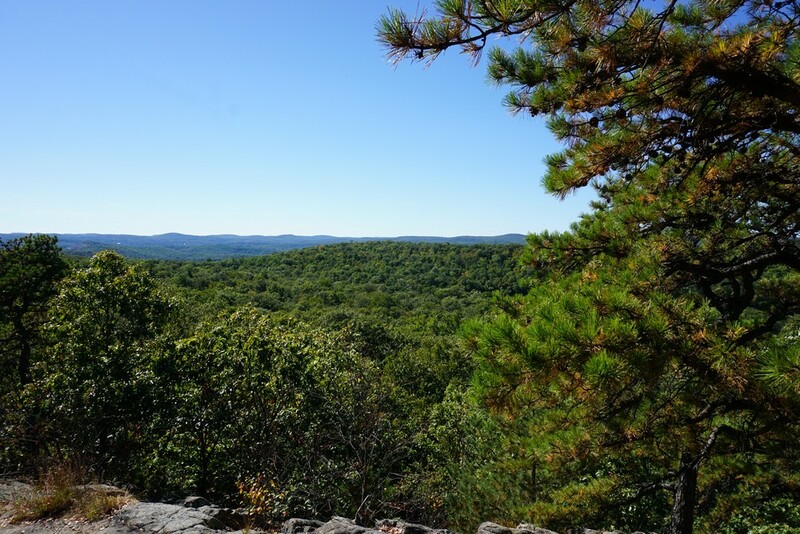 We parked at the main parking area at the bottom of Skyline Drive, nearby the I-287 exit, and hiked up the very busy MacEvoy Trail to Ramapo Lake at the outlet. 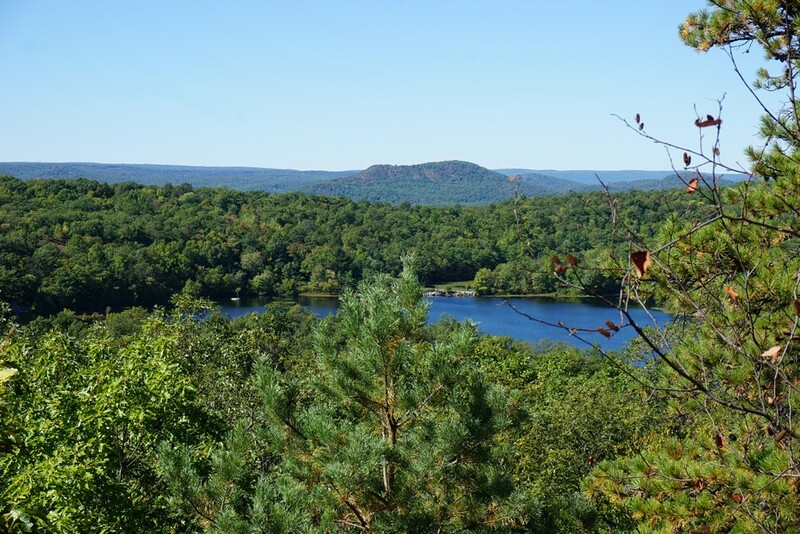 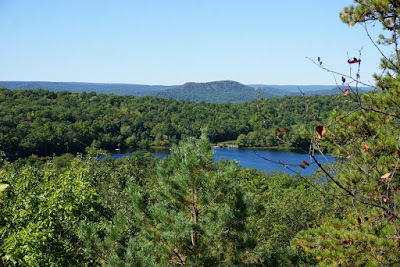 We crossed the dam and walked along the lake for a short distance and then took the combined Hoeferlin Memorial Trail and Lookout Trail up the mountain to the view. There is a very good view here of the Wyankokies and Wyankoie High Point. 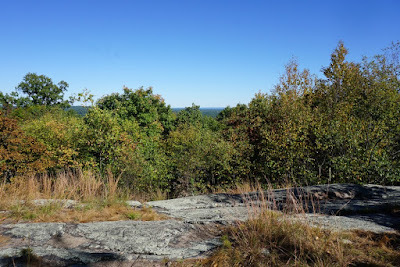 We continued along the trail at the ridgeline, and then took the Lookout Trail back around the loop and then started descending. 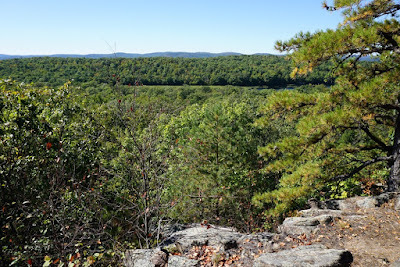 Once the valley of the Ramapo Lake outlet stream came into view, we bushwacked down through the valley and across the brook back to the MacEvoy Trail, and we took that trail back to the car.